Speed Control Station - Solution Control Systems Inc. 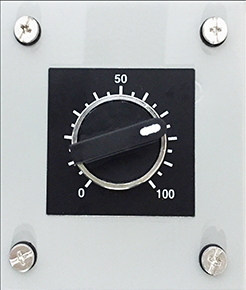 Speed Control Station - Solution Control Systems Inc.
Picture shows a 10K ohm potentiometer installed in nema 4 control station. This control station controls the frequency of a variable frequency controller which then controls the speed of a motor.